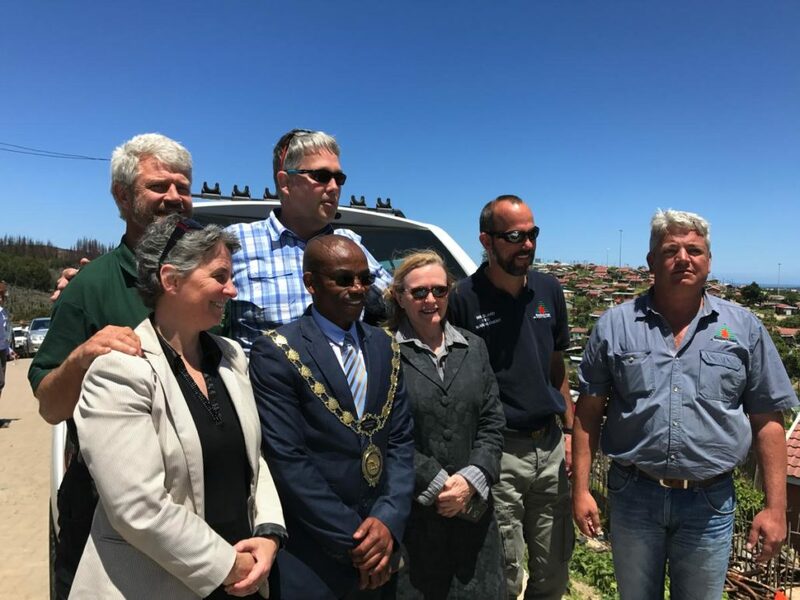 Western Cape Premier Helen Zille has praised the Garden Route Rebuild Initiative as a model for disaster management and reconstruction in the wake of catastrophe. Speaking at the Southern Cape Landowner’s Initiative’s Environmental Seminar 2017, which took place at Brenton-on-Sea on November 23, Premier Zille said that the seven work streams established by the GRRI’s coordinating committee have already achieved extraordinary results. She said the response was outstanding. “Provincial and local authorities, rescue agencies, NGOs, the SAPS, the SANDF, the private sector, and the public at large rallied to deal with the immediate challenges, like relocating the most vulnerable people during the catastrophe. Ms. Zille said that it was important to establish a dedicated team to coordinate efforts to revive the region. Dr. Hildegarde Fast, who leads the Western Cape Government’s Energy Security Game Changer, was seconded to manage the programme, and the GRRI steering committee – which includes representatives from the Eden District, Knysna and Bitou Municipalities, as well as national and provincial departments – now meets every fortnight. 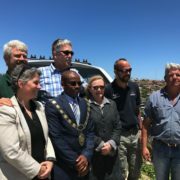 “The Garden Route Rebuild Initiative is very much an ongoing project – and one that will become a model for the management of disasters and reconstruction, and perhaps even a tool that we can use before disaster hits,” said Ms. Zille. Ms. Zille conducted a number of site visits during her time in the Garden Route: she inspected the erosion mitigation and hydro-seeding projects at Brenton-on-Lake, the project to rebuild 45 houses and install services for 150 shacks destroyed by the fire in Knysna’s White Location, and the saltwater desalination plant in Plettenberg Bay. She also met with the political and administrative leadership of Bitou Municipality in the council chambers in Plettenberg Bay. Speaking at that meeting, Dr. Fast said that authorities were in the habit of responding to disasters in a certain way – but that the GRRI is doing three things differently.